Riga may be over 800 years old as a city, but its status as capital of an independent Latvia is only a century old, with half of that time spent under Soviet rule. Despite this, it has established itself as a vibrant, creative hub, attracting artists, performers, and writers from across the Baltic region. The stories gathered here chronicle this growth and on-going transformation, and offer glimpses into the dark humor, rich history, contrasting perspectives, and love of the mythic, that sets the city's artistic community apart. 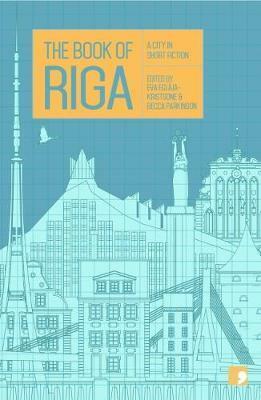 As its history might suggest, Riga is a work in progress; and for many of the characters in these stories, it is the possibilities of what the city might become, more than merely what it is now, that drives the imagination of its people. Eva Eglāja-Kristsone is a leading researcher at the Institute of Literature, Folklore and Art at the University of Latvia. She is the author of Connectors of the Latvian and Western Exile Writers. Becca Parkinson is a sales and production manager. She is the co-editor of The Book of Tbilisi. Vaira Vīķe-Freiberga is a Latvian politician who served as the sixth President of Latvia and the first female President of Latvia.